Here’s what’s happening in the world of television for Wednesday, March 20. All times are Eastern. 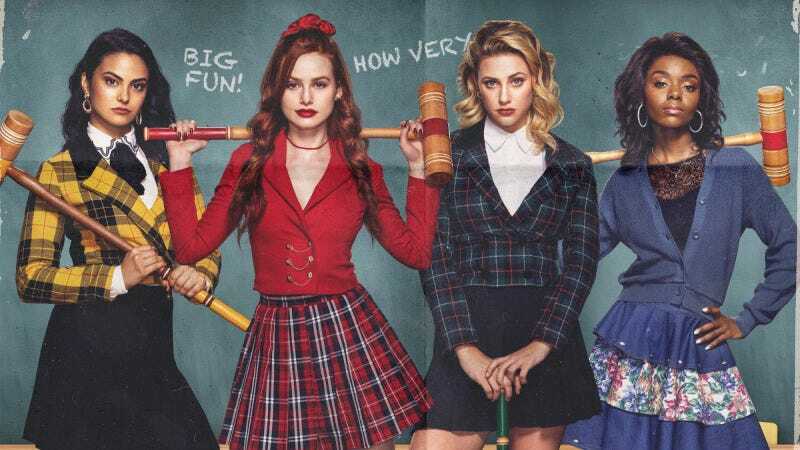 Riverdale (The CW, 8 p.m.) / Deadly Class (Syfy, 10 p.m., first season finale): Ah, Riverdale. A show in which the answer to the question “What’s your damage?” could include everything from a bad breakup to being suspected of a murder you didn’t commit, or one you did, or being harassed by a cult, or hating your mom, or the existence of a secret society harboring a deadly secret, and on and on. Last season, the gang attempted to get away from it all by trying the musical version of Carrie on for size. This time, they all have to bring croquet mallets from home. If high school musicals aren’t your thing, then Deadly Class has reached the end of its first term, and we’d be shocked if a tap number broke out as the season wraps up. Pick your poison—either way, a recap awaits. Bublé! (NBC, 10 p.m.): If musicals are your thing, but hormonal, meddling teenagers are not, then Mr. Michael Bublé, of bubly water commercial fame, stands ready to entertain. He’s Canadian!